In 2006, my family was extremely overweight and unhealthy. We had spent a lifetime making all the same mistakes that nearly everyone makes. We started and quit diets, lost weight and then gained it back. We tried all the gimmicks that steal your money without giving you results. We all knew that we were unhealthy and needed to diet and exercise, but we were not doing it. It was then that I realized the real problem was figuring out how to get each of us to do what we already knew we needed to do. The problem was not education. The problem was that we needed real accountability. That same year, I called my family to a meeting at my parents' house and said, "I have figured out how we can get healthy and inspire the nation to do the same thing." That year, I created the accountability structure we use now. It wasn't long before my family started losing weight more consistently than we ever had. We were exercising every day and then lost our first 100 pounds. As a group we really felt like we were onto something. By the end of the year, my family of 8 had lost 501 pounds. 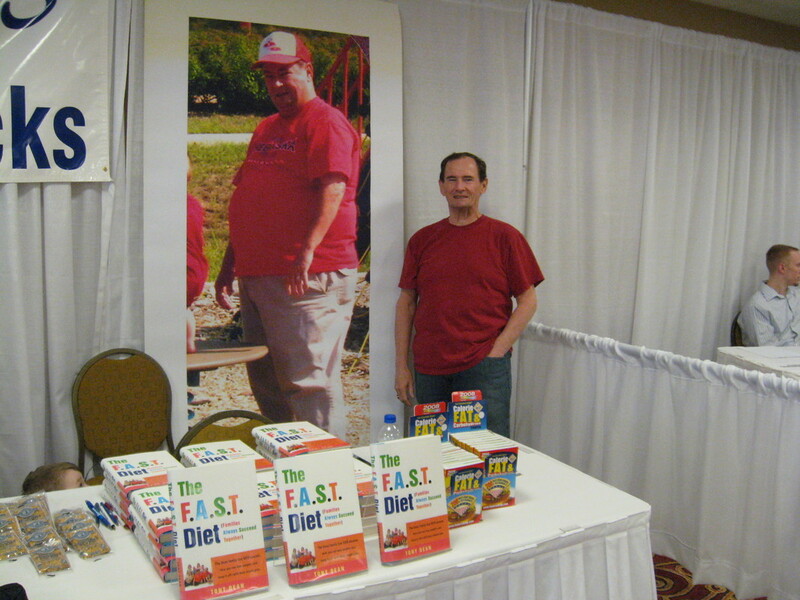 The next year, we helped a local group lose 4,000 pounds (in the picture above), then the following year (while my book was being published), a smaller group 1000 miles away lost 3,000 pounds. Now there are individuals and groups succeeding across more than 46 states. Some groups have lost more than 25,000 pounds each. The best part is that it doesn't matter if you are doing this by yourself, with a friend, with your company, live 5 miles away from the FAST office, or if you live in Alaska. The success rate on this program is through the roof regardless of where you live. The reason is simple, daily accountability causes you to do this long enough so that you get good at it and it becomes part of your lifestyle. ​I can't imagine what the future will bring, but I do know one thing; if you decide to start the program, you will be a part of that future. The FAST Diet book was published a decade ago and is now out of print. Copies can still be purchased digitally at Amazon by clicking here. You won't need the book to follow the plan. When it was written there was one local group that had lost 1300 pounds. It's a fun story about how this all started, but absolutely not a requirement to start the program.